The 2018 season of the World Padel Tour is history. A fascinating campaign which left us with great moments and a lot of memories. Beyond the headlines and the title winners, we want to focus on those players who had to give everything to earn ther place amongst the best players in the world. There's one player that stands out above the rest when it comes to hard work: Javier Martínez Vázquez, who played more matches than anyone else last season with 76. His journey from prequalifying to the main draw has given him this honour. 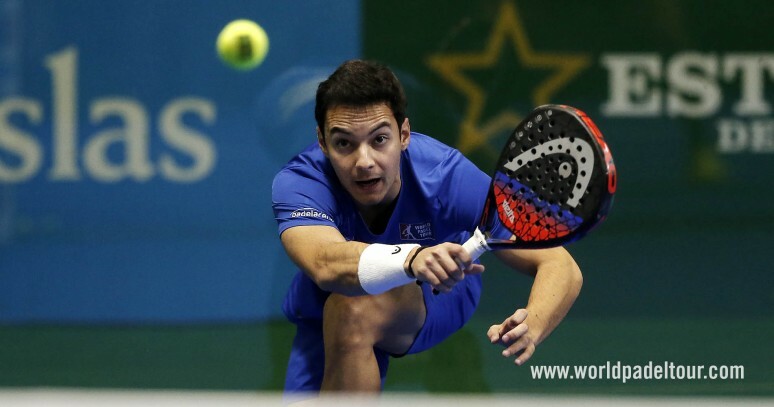 He started the season alongside Brazilian Lucas Silveira Da Cunha, with whom he reached the main draw once. He then played three tournaments with Javier Redondo and from the Mijas Open onwards, his partner was Adrián Blanco, with whom he made the main draw five teams. His best result was the last sixteen in Murcia. Plenty of hours on court and a total of 55 wins have seen him rise from 92nd to 64th in the world rankings. A well earned reward for the hardest working player in 2018. Behind him in the ranking for most matches played are Jorge Ruiz with 68, Adrián Blanco with 64 and Javier Rico, Miguel Ángel Solbes and Miguel Oiveira with 62 each. On the women's tour, that recognition went to the world number one pairing: Majo and Mapi Sánchez Alayeto, who not only dominated the rankings but also played the most matches. A total of 57 matches in a season which saw them top the rankings for the fourth time. Being consistent has been one of the keys behind their success and the twin have only missed two of the possible 59 matches that a pairing can play throughout the season. In other words, the sisters from Zaragoza have only fallen in the semifinals twice and taken part in 13 finals, with 5 titles to their name. Their percentage of wins in 2018 has been 82.46% and have only lost ten times all year.